You are here: Home / Guide & Others / What is a Lathe Machine? Go outside and smell the sunshine! Get off your seat and go for a walk! Smell the fresh air! Feel the kiss of the sun radiantly shining on your face! What’s that? No? You’d rather spend your time sitting around the house while being on Facebook 24/7? Sure, that sort of works too. But do you know why you can get all of these things in the first place? How all the amenities of modernity came to be? Well, buckle your seatbelts, because we are in for a looooooong story! While we won’t be covering A to Z on this topic, we will be covering M, and more importantly, L. One of the most important processes of modern technology is material separation, and the best way to separate metals is known as machining. 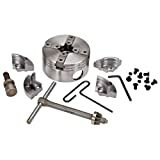 Machining is a particular group of work that needs to be done for removing material, even in minute quantities, from the main object. As a result of it, you are able to obtain more accurate, precisely measured objects, unique shapes and builds, awesome designs and so on. While machining involves a whole host of processes including drilling, grinding and some others, one of the star players in the game is the lathe machine. A lathe machine is a machine comprising mainly of a rotatable work-piece, one that is often shaped cylindrically. It is called the mother of all machines because it is credited for modern machinery’s existence. What it does is by rotating it around, you use to brush against whatever material you intend to remove for the purpose. As a result, the lathe machine typically uses friction for most types of tasks. In addition, tools are used with the lathe machine. 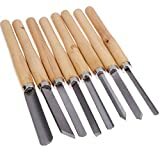 But not just any kind of tools, these are tools that make a uniform shape that is even on both sides. What this basically does is produce a symmetrical finish on whatever you are trimming or removing parts from. Doing so in this manner leaves a natural looking finish to the material so that you get the desired result without having it look too odd. There are several things that can be done by a lathe. One of the most prominent and historically important uses of lathes has been woodturning. Woodturning is the art of shaping wood using something like a lathe. There are several things that can be made by woodturning, including handles for a wide range of objects, wooden knobs, bats, musical instruments, etc. You will find limited ways craftsmen carry out woodturning, but these few form some of the intricate and vast works of craftsmanship. Some of these ways are parting, planning, beading, coving, and following. Most techniques of woodturning involve separating portions of the wood into two or removing layers or fibers at a time. Some also involve removing a particular type of shape from each layer for an intended cut. Another popular use of lathes is metalworking. The name speaks for itself, doesn’t it? Well, in terms of depth metalworking can be on a small scale or a large scale, ranging from small parts to humungous contraptions. It is fairly straightforward, but you have to take some extremely precise measurements in order to get it done properly. Lathes come into this process fairly late, after much of the manufacturing part is done. 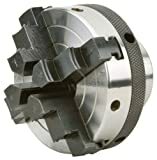 There are several machining techniques in metalworking. You could saw parts off, turn small bits off, drill holes, or grind surfaces for a better polish. Present day lathes can carry out many of these activities to great precision. This is essentially what shapes all the metal products that we use. For example, metal locks on doors have to be shaped by lathes so that their geometry is functional and aesthetic at the same time. Next, you can do metal spinning on a lathe as well. This is a subset of metalworking, but different in the way that it uses predominantly rotational movement to make intricate shapes. Ever thought about how the old school bells were made? The answer to that question is metal spinning. It is the process which is used to make a load of metal goodies. Most metal objects with an intricate shape are made by spinning, including cooking utensils, metal instruments, stainless steel, etc. The accompanying spinning tool for metal spinning is a ‘spoon’. This isn’t an actual spoon, just a chunk of metal that is shaped for the task at hand. 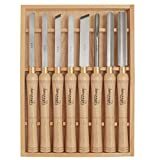 They can be used with the lathe in several ways, from rigid carving to rotationally for heat dissipation. The most popular use of lathes is, of course, turning. As the name suggests, in turning there is something that rotates. But unlike most other methods, in turning the thing that does all the dirty work (material removing) is the one that rotates. In the case of turning, the external surface of whatever you are reducing is chipped off by moving it perpendicularly (use a dictionary!) to how the work-piece is moving. There are also several different versions of turning, including tapered turning, hard turning, and sphering. Turning can also be done on the inside of the material too, which is called boring. This is basically chipping away at the inside first. Excuse me, you probably still need a bigger picture of what a lathe actually is! Well, let’s look at all the parts that make it up. To start off, many but not all lathes have a base platform. This is a flat rectangle of material that forms the bottom of the lathe, and it is the primary support for lathes that have this. Next, many lathes have a stand or several stands that support and elevate the working space. If there are no base platforms, legs become essential for support, unless of course the lathe is kept on some kind of elevated platform, to begin with. In that case, neither a base, not stands are necessary for support. Beds! All lathes have beds! Well, except for some of the modern ones that are. A bed is a beam that is laid out flat and it holds everything in place. It also makes sure that the residue from using a lathe remains inside instead of spreading out everywhere. Of course, certain designs make it so that the residue does fall off, but that depends on the setup. Towards the final segment of the bed is the headstock. This has the high precision bearings that attach to the spindle, which is the horizontal axle. The spindle is what supports the Morse taper or whatever else is used for measurements. The spindle is hollow so that you can rotate it easily. Spindles have threads inside and out on the interior, and this is where the woodworking is placed. The antagonist for the headstock is the tailstock. It has a rigid barrel that is retractable. Next up, the lathe is a carriage. The carriage in a lathe is made of some sort of fabric and mounts the cross-slide, which is a perpendicularly movable piece of wood that crisscrosses the bed. There is a separate space for the tools to sit, called the tool post, along with a tool rest, which is placed adjacent to the spindle and tailstock. Workmen basically place their hands against this. Now, to get to the basic functioning of a lathe, you first need to understand that something has to move. In this case, the spindle moves either from a treadle (a lever of sorts that is placed below) combined with a flywheel or some sort of belt or gear chain or more prevalently, electrical motors. The essential function of a spindle is to rotate the work-piece. This is the critical part of the lathe, the one that does all the dirty work of grinding, turning, basically everything. On the opposite end of the spindle is the tailstock, and it is the literal tail of the work-piece as well. Once your work-piece rotates, you make it whatever it is you need to alter too. You place the tool on the tool rest, which is where you either put your hand on comfortably or place the tool in the correct position so that it does the work automatically. Once it is securely placed and ready to get some work done, you lock it in place and start the work-piece. There are several speeds that the spindle can move in, which is also controlled by the headstock. Before it used to be manual, with some kind of wedge in place to fix a speed. Today’s lathes are digital, so you just need to push a button or two. This was the basic lathe. Particular lathes have certain different features for the kind of work that is required of them. For example, metalworking lathes also have a carriage and a cross-slide. The carriage helps to store the metal while the cross-slide helps in precision. The cross slide has a compound rest which provides additional motion features. On the other hand, woodturning and metal spinning lathes have ‘banjos’ that are just flat and sit perpendicular to the bed. However, the banjo can be altered to your liking, and on top of it are the tool post and tool rest. With all that said, let’s finally look at the various types of lathes that are out there right now. 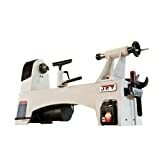 For starters, let’s look at the woodworking lathes. Woodworking lathes are the magically alive ancestors of lathes. Yes, they are older than your grandparents are in terms of design, and the object itself is probably older than you are. All they have is a tool rest between the usual tailstock and spindle. Shaping tools are placed by hand to where the wood is chipped off. These lathes may be basic, but they sure get the job done. You can make wooden bowls and plates with a woodworking lathe, and all you do is work from the bottom up. First, you make a uniform base, and then angle the cutting tool to get the curved shape. Needless to say, you need to have a certain degree of skills. Most woodworking lathes are limited to around 1400 revolutions per minute. Next, we have Blanchard lathes. These are basically carbon copies of existing standardized patterns and can replicate and recreate the same patterns to a massive scale. Named after the inventor, Blanchard lathes evolved mass gun stock manufacturing. Again, the name gives the game away. With these lathes, you can make wooden and plastic patterns. It has a built-in turret, which is the main cutter on this lathe. The turret is flexible and can be moved to any position. There is also a free tool rest on this lathe so that you place the tool to where you need to get the work done. There are essential drivers of industrialization and are responsible for the existing way of life. All these do is get rid of metal from the work-piece. 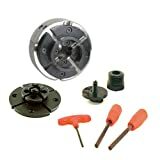 For metal work-pieces, you most certainly need a much harder tool. The tool motion can be manual or computerized, and the tool itself may come in a variety of shapes and sizes. The tool-post is flexible thanks to a lead-screw, which can lock it in place or let it move freely depending on tightness. Most of these lathes also have a large bed for residue to drop into and collect. You already know what metal spinning is like. The corresponding setup should make sense then, with a metal sheet that is placed at 90 degrees to the main lathe axis. The tool is hand-held, but placed correctly by fixed posts which position the hands, and hence the tool, the way it should be. 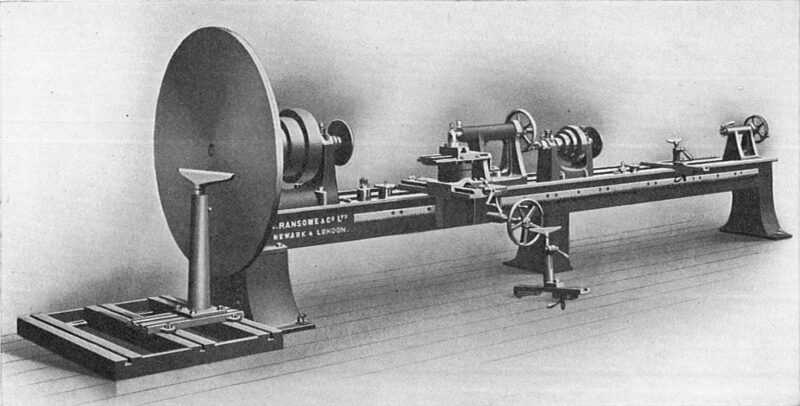 There are several other lathes, with different products, techniques, and objectives, but the main ones were mentioned. Because really, do you really want to know more? Lathes have been revolutionary, no doubt. And that is probably more reason as to why people should be taught the vast history and significance it has played in bringing the level of comfort that we take for granted now. Maybe if it hadn’t been discovered, our life might be truly different. But we will never know now, will we? We can only appreciate what it has given to us. So thank lathes for a change!